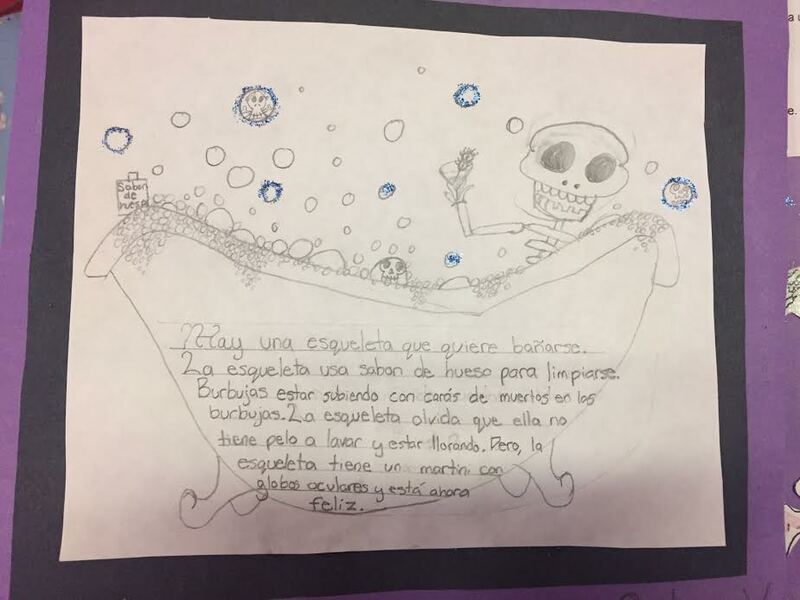 Calaveras Literarias is traditionally on Dia de Los Muertos because Manilla and Posada used Mexicos traditonal Day of the Dead as a theme for their drawings of making skeletons as a metaphor for corrupt society ranks. My calavera was about a skeleton taking a bath, but forgets that he doesn't have hair to wash and becomes sad, but then has a martini with eyeballs in it and becomes happy. I think I was successful, I came up with a drawing and conjugated most of my words correctly.